While this isn't a true "Paris-Chic" outfit (those ladies dress minimally and effortlessly!) I was inspired by "An American in Paris" (HELLO Gene Kelly + Leslie Caro!!!) 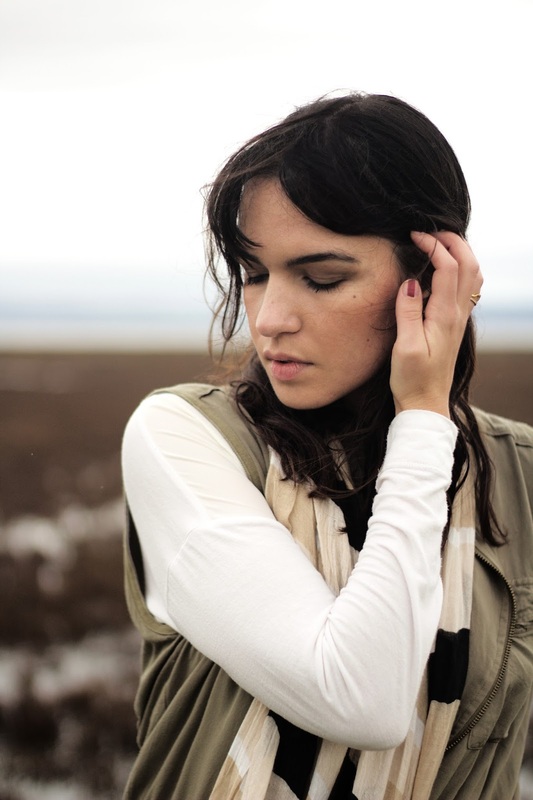 and the ideal we Americans dream wearing in France to create this fall outfit. 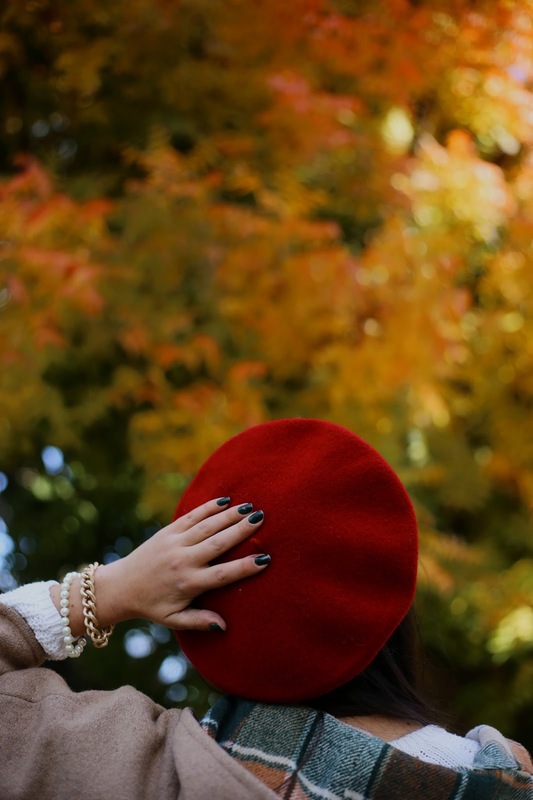 Hats-especially berets-have been such a hot trend this fall; providing every American girl the opportunity to live out her Paris style fantasy. If you want to play it safe you can purchase a black beret that will go with everything. OR, if you're like me you may want to go all out with colorful options! 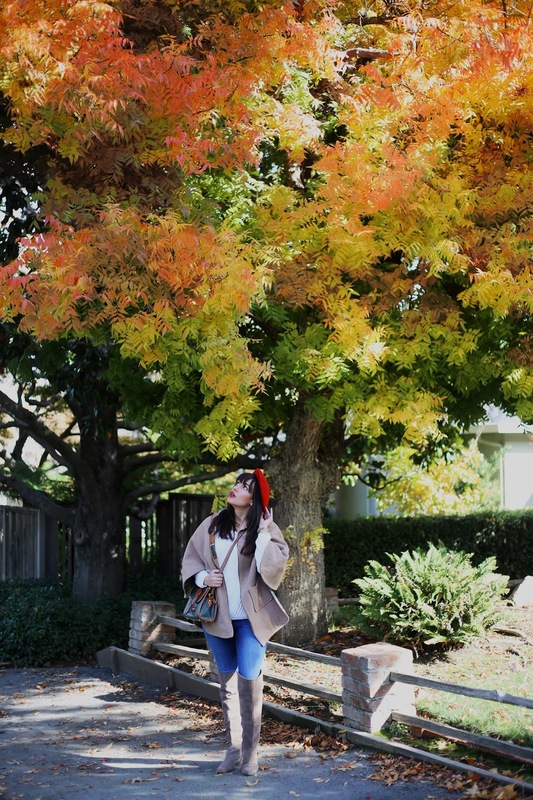 I've had cobalt blue and bright red ones in my closet for ages and always love styling them as a pop of color to liven up an outfit during the colder seasons. 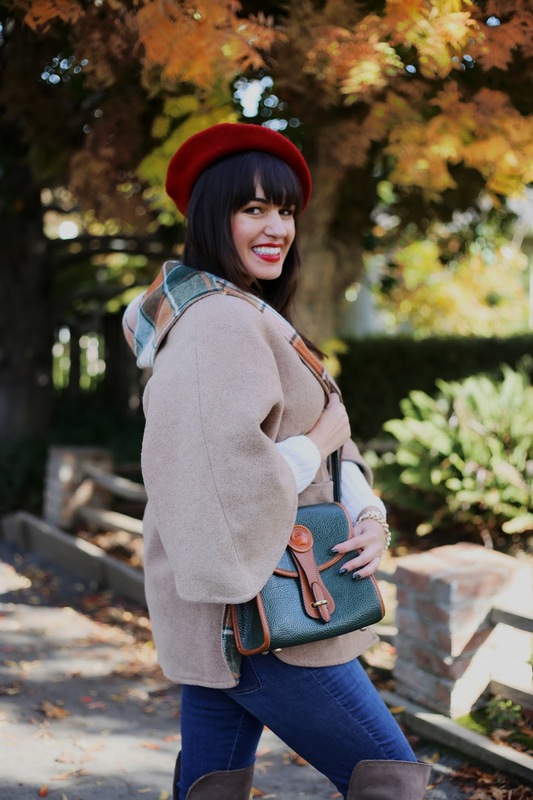 BONUS: Match or contrast your lipstick to your beret for a touch of cheeky color layering. 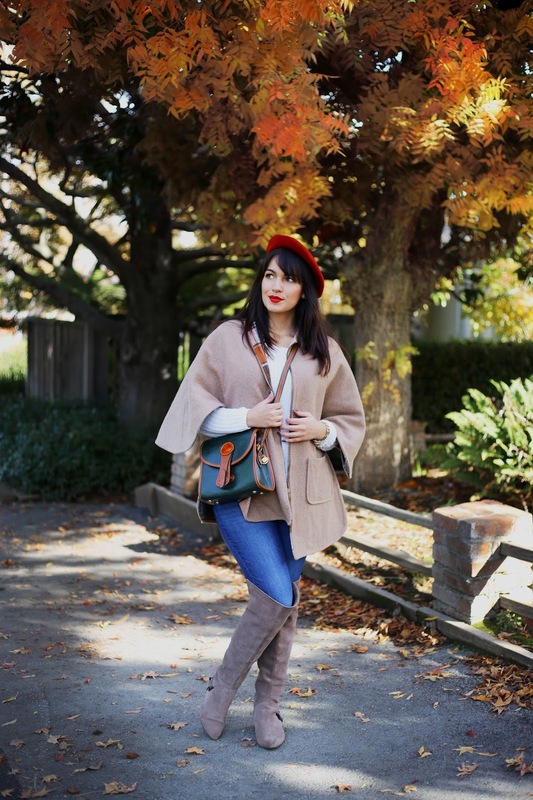 This is a perfect Thanksgiving or early winter outfit. 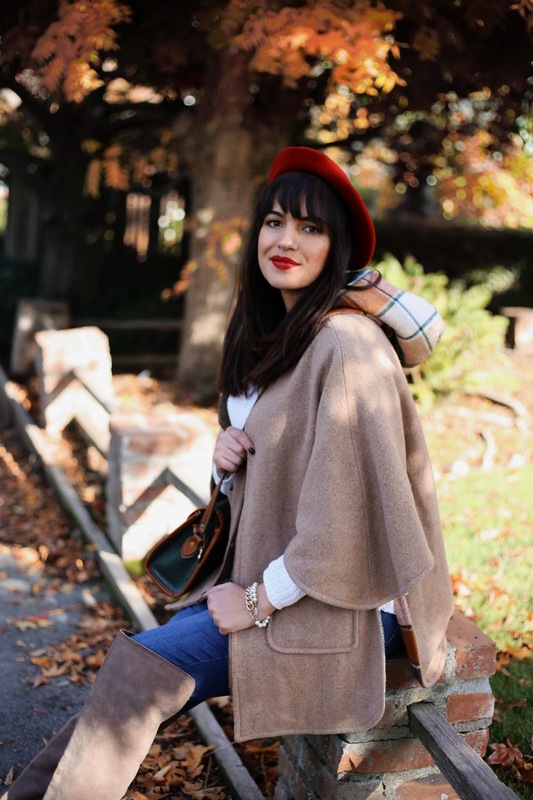 I love the small details that just scream fall: the plaid lining of the cape/poncho, the wool and suede fabrics, the neutral color palette with green and red accents all makes it feel festive!